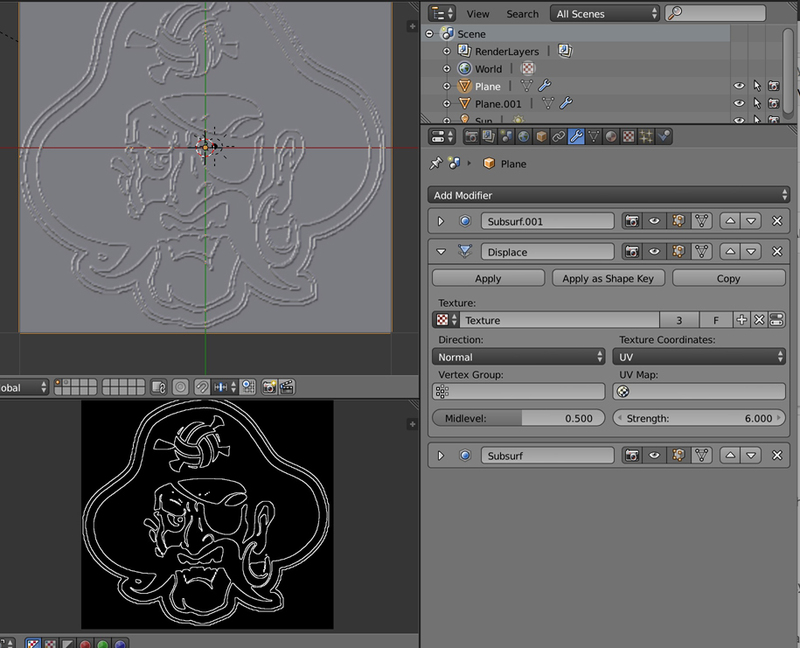 I am trying to apply a displacement to a grid mesh for a Lithophane and a cookie cutter. I create an image Texture, add a Grid mesh and apply a Displace modifier. Unfortunately the displacement is only on a small portion of the center of the grid. How can I get the displacement to fill the Grid? 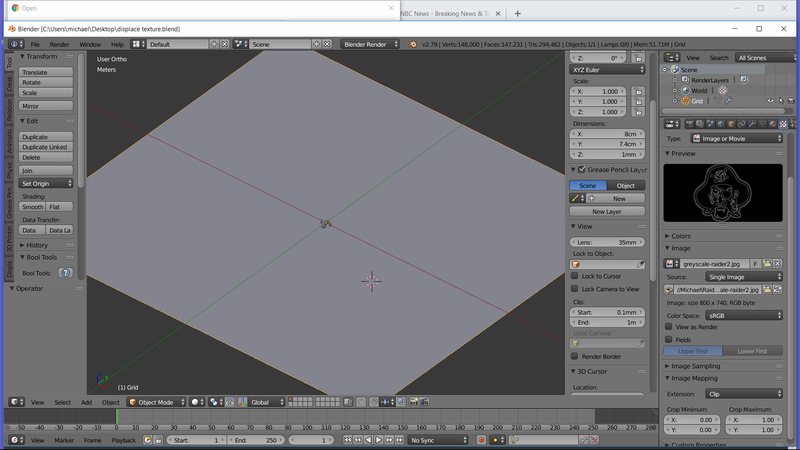 In the modifier you should use Texture Coordinates > UV in order to control how the picture will print on the surface. So beforehand you must select your plane, go in Edit mode, select all and unwrap with U > Unwrap. I've also tested with a Subdivision Surface modifier above and below the Displacement modifier, it looks like it works better (note that your picture is very pixelated though so it will never be perfect). Why does the top displace modifier always switch to the active texture?